The Government of Saskatchewan supported this project with the development of curricular connections and inquiry starters for each section of the ebook. 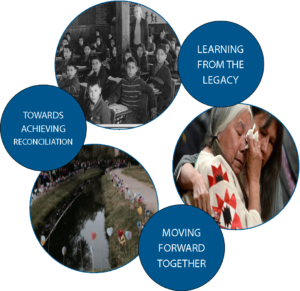 In response to the Truth and Reconciliation Calls to Action, an online new resource to support educators in learning and teaching about the legacy of residential schools and reconciliation called “Supporting Reconciliation in Saskatchewan Schools” has been developed. The site was developed using feedback from Elders, the Office of the Treaty Commissioner, and other educational stakeholders and will evolve over time through ongoing collaboration with these partners. highlight Saskatchewan-made resources and projects to inspire others to act.